Our annual gig at the Davy Lamp Folk Club in Washington is happening again in 2016. A brand new, weekend-long celebration of folk and roots music will be taking place at Theatre by the Lake in February. Roots 66, named after the road that brings travellers to Keswick, will feature established artists plus talent emerging from the new folk revival. It will also offer a packed programme of artist showcases, workshops for all ages, masterclasses and informal acoustic sets. We are playing on Saturday 6th February. For ticket information click on the logo. The Folkworks One Night in Gateshead concert series celebrates the tradition bearers of the North East – the musicians who have played their part in the history of traditional music in this region, nationally and internationally. This concert brings together four towering families of folk, The Doonans, The Unthanks, The Wilsons and The Elliotts – brought together to celebrate their own music and the 50th anniversary of the Birtley Folk Club – founded by the Elliot family and serving as the enduring thread that links these performers. For ticket and more information please click on the logo. We are back... Voted Town Hall Live’s concert/ artist of the year for 2015, we are over the moon to be playing here again. Tickets and more information via the logo. 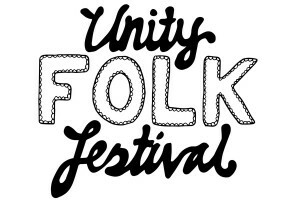 After a fantastic first event in 2015, we are happy to say we will be performing once again at this year's Unity Folk Festival. The website is currently being updated - but please keep your eyes out for ticket and booking information which you can access by clicking on the logo. We have been asked back to this wonderful festival for a third time running. We will be performing along side the likes of Cara Dillon and De Danann. For all information on tickets and booking your tip out there - click on the logo.